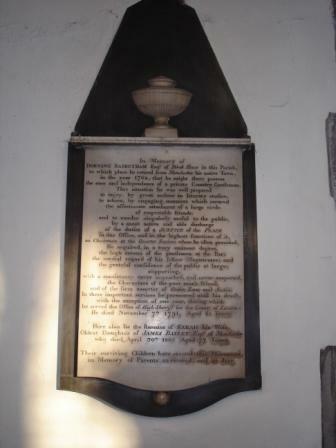 Dorning Rasbotham, of Birch House (Farnworth), died 1791, also Sarah, his wife, died 1805. 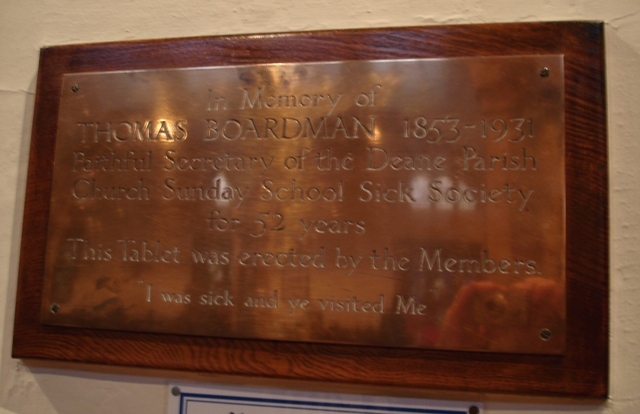 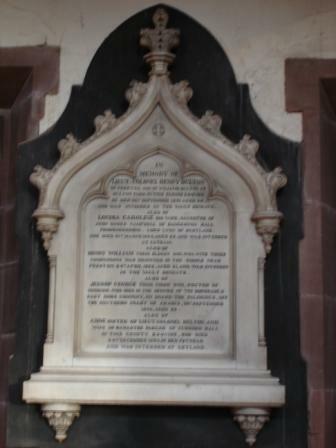 (Dorning Rasbotham did much to preserve the county's antiquities; his writings formed the basis of Baines History of Lancashire, 1836). 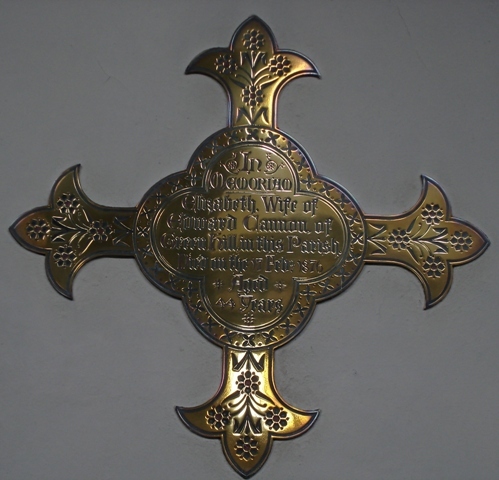 Elizabeth, wife of Edward Cannon, of Greenhill, Deane, died 1876. 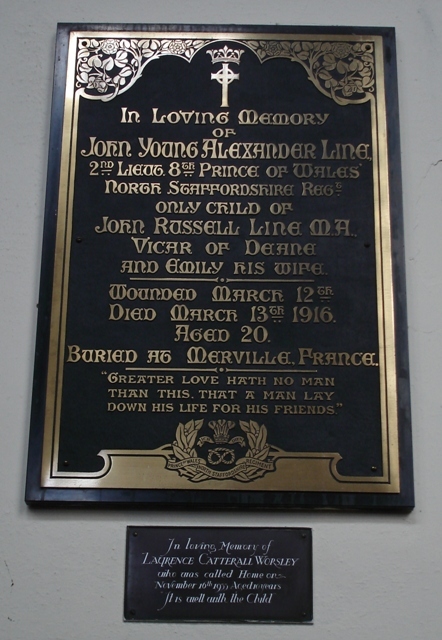 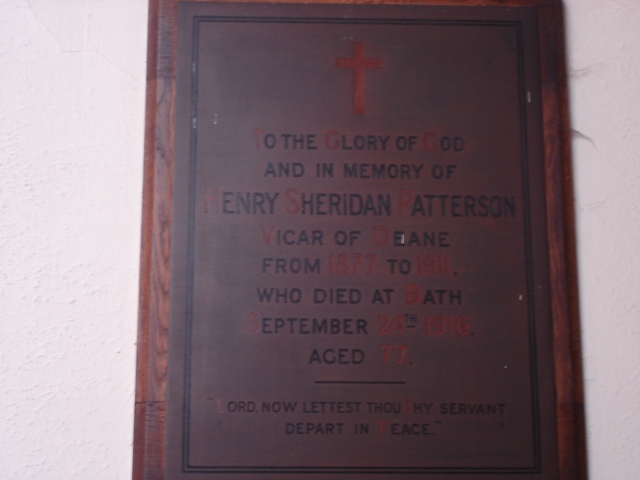 Lieut.-Colonel Henry Hulton, of Preston, died 1831.
and one to the memory of Lawrence Catterall Worsley, the younger son of Canon R.C.Worsley, died 1933.